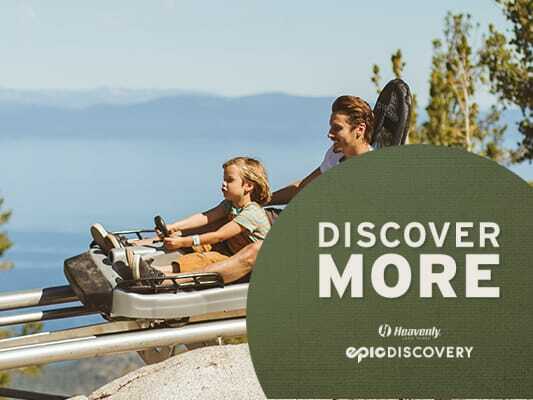 The Ultimate Adventure Pass is the easiest way to experience all that Epic Discovery offers. Access all day to enough activities to create memories you will talk about for ages. See below for all the included activities, then click them to check them out! Hot Shot Zip Line Add-On: Soar through the sky for just $20 by adding a ride on the Hot Shot Zip Line to your Ultimate Adventure Pass. All levels of the Ultimate Adventure Pass include your Scenic Gondola ride. Activity Restrictions: Activities included in the Ultimate Adventure Pass have varying size and age limits. See a full list of Ultimate Adventure Pass activity requirements on our Know Before You Go page. Please call to check availability and pricing 1 (800) 432-8365 (Option 0), or come back soon to book online! Epic Discovery is closed on this date. Please adjust your dates to any Friday, Saturday or Sunday in September or call 1 (800) 432-8365 (Option 7).